The most recent of the United States Quarter has been the George Washington. This coin was first minted in 1932, and has enjoyed a uninterrupted run from then until today. There have been small variations up unto 1999, and just one year of non-minatage in 1975. These coins were 90% silver up until 1964, at which time the US Mint switched to a copper and nickel mixture. Our coin system is based of the Spanish milled dollars. One dollar could be broken in half making .50 and then broken down again to make a quarter dollar. The Quarter was designed by John Flanagan and was based on a 1786 bust made by sculptor Jean-Antoine Houdon. the reverse side has a Bald Eagle. State quarters were issued between 1999 and 2008, these are very popular with collectors, but not worth much in terms of intrinsic value. 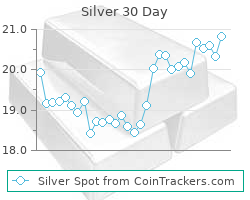 Current silver melt value* for a pre 1965 coin (90% Silver) is $2.7 and this price is based off the current silver spot price of $14.95 This value is dynamic so bookmark it and comeback for an up to the minute silver melt value.